It’s such a wonderful coincidence to be in India on the day Indians celebrate the passing of winter solstice. My mind is alive and my heart is warm with memories of celebrating Lohri. The excitement of a bonfire hosted by my family where our entire neighbourhood was invited are some of the best childhood memories I have. Traditionally, India is an agricultural country and harvest is a reason to celebrate the gifts we get from Mother Nature! Different states and religions welcome the harvest season in their own indigenous way, and call it different names! Makar Sankranti is the common Hindu name! The common theme though is to serve and eat snacks made with sesame and jaggery. These delicious snacks warm you up from the inside while you stand around a bonfire in the cool Indian winter. And the sense of community, friendship and oneness warms up your heart! If that’s not enough, men and women dress up in traditional Indian outfits adding colour to the festivities! 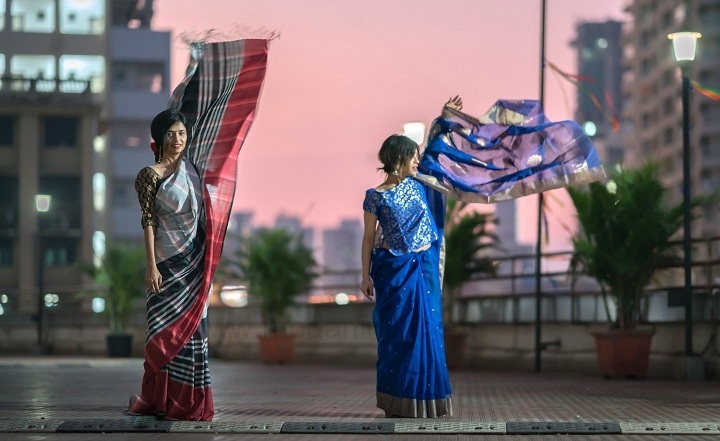 It’s no surprise that we are blogging about Indian culture and tradition. If you haven’t noticed already, Sneaky ninja and I love everything Indian and are huge advocates of supporting and buying local. Having moved to America, I carry a fondness for everything the food, culture, traditions and fashion. Indian handloom has both Sneaky and my heart. We’ve blogged about it here and here. Sneaky is wearing Eri silk, its commonly known as Ahimsa or Non Violent silk. 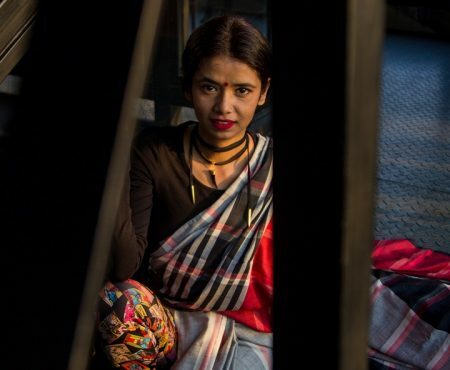 Indigenous to the state of Assam, the silk is made after the worm has left the cocoon. Unlike other silks since the worm killed in the process of making this silk, the non violent nature of extracting the yarn renders it the name Ahimsa silk. The texture and drape of this silk is truly exotic. Mansi’s team is creating a line called MAD designs, separates being made from Eri silk to help promote Indian handloom. I am wearing Chanderi silk which is woven in central India in a small town called Chanderi in Madhya Pradesh. Every household in the town has a weaver and their prime trade is to work on the loom. 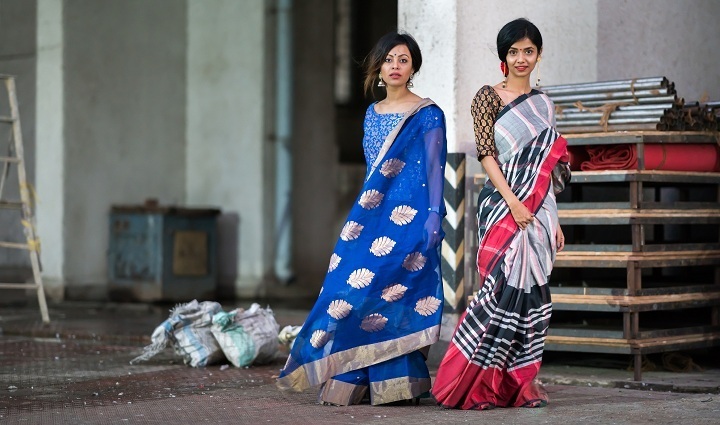 Giving back to artisans who do not have access to modern marketing means inspired Manasi to work with these artisans. 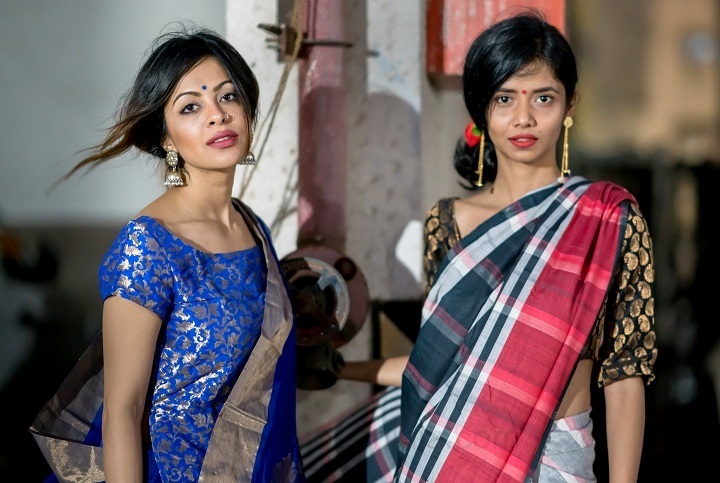 Both of us enjoyed styling and shooting this post with Pratham, hope you enjoyed reading the post!You can connect with Mansi through Facebook and make enquires.